Come experience the magic at Universal Orlando’s Wizarding World of Harry Potter- Diagon Alley! Beginning June 29, 2014 you can experience the new theme park with a special deal from Universal for summer and fall trips. But remember, even without a magic wand it will disappear on July 31st. The Wizarding World of Harry Potter – Diagon Alley is located at Universal Studios in Orlando, Florida. This is a new addition to the already existing Wizarding World of Harry Potter- Hogsmeade, which opened in 2010 at Universal’s Islands of Adventure theme Park. Diagon Alley stretches the Harry Potter experience across Universal’s two theme parks as you can see by our sneak preview of the magical new world. An all-new Thrill ride- Harry Potter and the Escape from Gringotts, which places visitors in the middle of a crucial scene from the last book and movie. Shops such as Weasley’s Wizard Wheezes, Magical Menagerie and Quality Quidditch Supplies, which lace the streets of Diagon Alley for all of your wizard-world shopping pleasures. Knockturn Alley- the darker side of the wizarding world. Transportation on the Hogwarts Express between the two Parks goes between King’s Cross Station in Universal Studios and Hogsmeade Station in Islands of Adventure. This train ride allows guests to meet magical creatures and familiar characters along the way. These prices include multi-day Park-to-Park tickets (Universal Studios and Islands of Adventure) and stay at Universal’s Cabana Bay Beach Resort. Other benefits of this package include access to The Wizarding World of Harry Potter- Diagon Alley, breakfast at the Three Broomsticks (restaurant) in Hogsmeade, and the Leaky Cauldron (restaurant) in Diagon Alley, 1 hour Early Park Admission to the Wizarding World of Harry Potter (which is crucial to avoiding the lines), special welcome present, and on-site transportation to both parks. 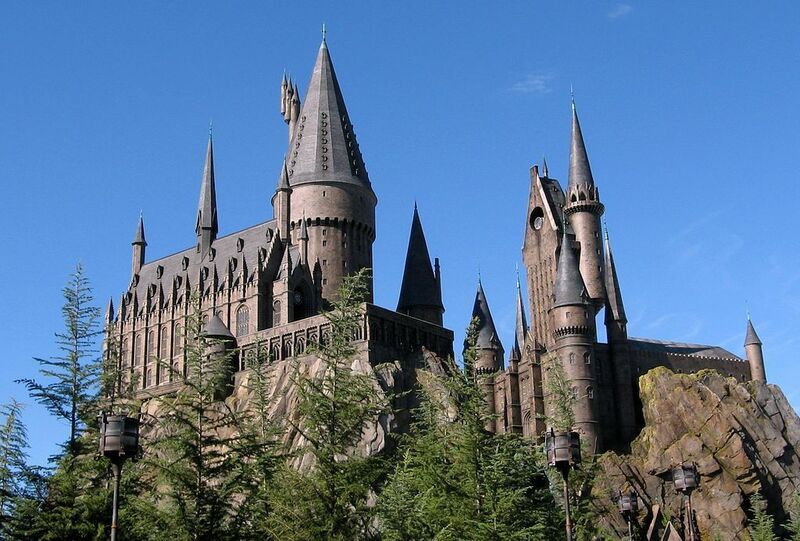 To book a vacation package, visit the Universal Orlando site or their special Wizarding World of Harry Potter site. Make sure to book before July 31, 2014 to get this deal!